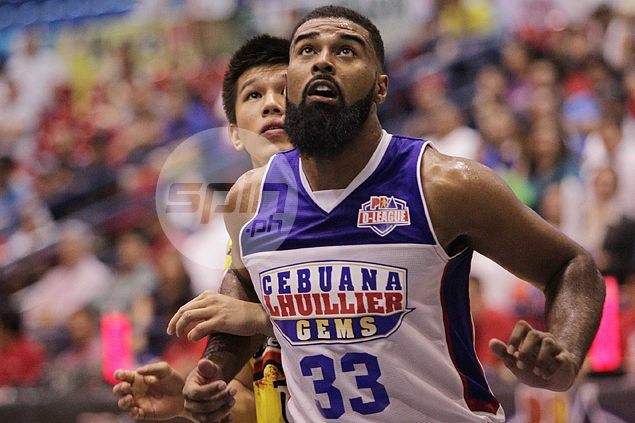 MOALA Tautuaa may have failed to win a championship in his short stint in the PBA D-League. This early, the consensus top pick in the coming PBA Draft is already thrilled at the prospect of going up against the country’s best pro players after declaring for the August 23 event at Robinson's Place Manila. “Yeah, I’ve been ready,” said the 26-year-old Cebuana Lhuillier center, named as the D-League Foundation Cup Best Player of the Conference. The 6-foot-7 Fil-Tongan said he’ll be more than ready to play for any team that would want his services. “The team that wants me the most, I’m ready to play for whichever (team) and bring what I can to the table, and get what they want from me,” said Tautuaa. “I’m sure to play hard. I flew thousand miles just to play basketball. That’s what I’m gonna do. The San Francisco, California-born big man, whose Filipina mother Romanita hails from Taguig City, stressed he’s hardly pressured by expectations that goes with ending up as the No. 1 pick in the rookie draft. Tautuaa said all he could do is play according to his potential and prove he belongs in the PBA. “It doesn’t bother me. I’m here to play basketball, that’s what I do. I just take it as I can,” he added. The former Westports Malaysia Dragons import in the Asean Basketball League (ABL) would have wanted to end his D-League stint with another shot at a championship, although Cebuana Lhuillier was not fortunate enough to advance to the finals after losing to Hapee in their semifinas series. “I left some business there on the table. I wanted (to be in) the finals, championship, but we came up short,” said Tautuaa, who also lost to the Fresh Fighters during the Aspirants Cup Finals while playing for Cagayan Valley. “We’ve dealt with injuries, missed players, and we just didn’t click when we needed it through in the semifinals,” he said of the fate that befell the highly-touted Gems in the semis. But life goes on for Tautuaa, who believes working hard and improving further his game will finally reward him with a championship. “I’ll just continue to play through and work hard,” he said.